This last week I started a new project, sort of a gothic story. I’m eager to see where it takes me. I’m not sure if it works yet at all but it’s interesting and I am eager to write on it. 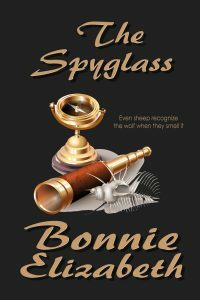 My story for this month is a short story called The Spyglass. I wrote this a little over a year ago for a class. People really liked the narrator. At some point I’d like to use him in another story but nothing has come to mind just yet. Suffice to say that Albert isn’t a typical mystery hero but he solves he mystery he’s found on Easter Island, which is nowhere near the great mysteries of the Ahus.